Canberra – Are You Ready to Rock?? Get ready to party Canberra as Bjorn Again will perform there on Friday July 28th at The Southern Cross Club. 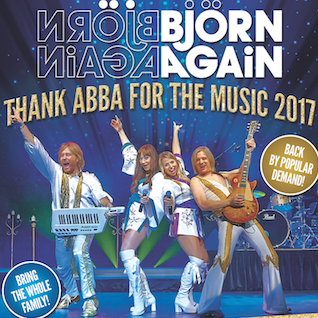 The World’s No 1 and most popular ABBA show Bjorn Again will perform all the biggest and best ABBA hits in a sing-along dance-along frenzy. A Bjorn Again show is the best night anyone can have in platform shoes and flares so RING RING your friends and come on down. Tickets ON SALE NOW but are selling very fast and will sell out soon so be quick!